University of Oregon biologist Charles “Chuck” Kimmel will become the first person to receive a new lifetime achievement award from Oregon Academy of Science in recognition of his role establishing zebrafish as a model organism for research. In a letter of nomination, Bruce Bowerman, head of the UO Department of Biology, wrote that Kimmel was largely responsible for continuing the work started by George Streisinger to move the tiny fish species forward as a model for studying early development and behavior in organisms having spines, including humans. Streisinger, long considered to be the founding father of zebrafish in research, died in 1984 while scuba diving at the Oregon Coast near Florence. Four of Kimmel’s longtime UO colleagues also submitted letters of endorsement. The Oregon Academy of Science established its lifetime achievement award as “a higher tier of recognition for a scientist who has invested an entire career making world-class contributions to a field of research while in Oregon,” said Andrew Baggett, the academy’s president, in his letter announcing Kimmel’s selection. Recruited by Streisinger, Kimmel, now a professor emeritus in the Department of Biology and the Institute of Neuroscience, came to the UO in 1969 following postdoctoral work at the Salk Institute for Biological Studies in La Jolla, California. He earned a doctorate in biology in 1966 from Johns Hopkins University in Baltimore. 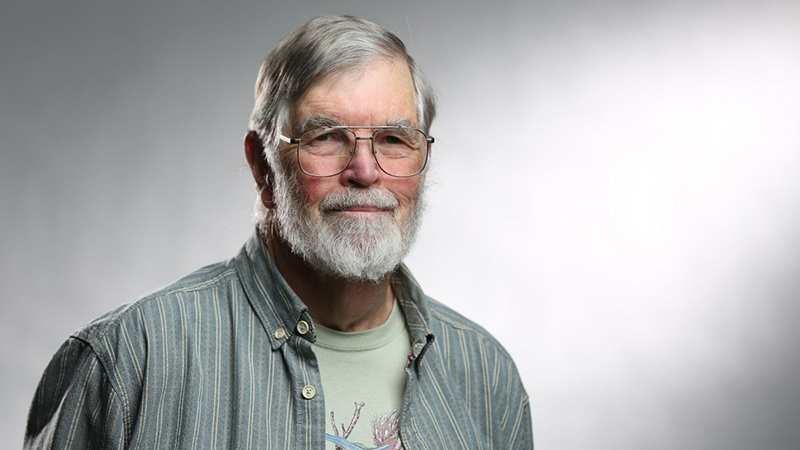 Kimmel retired from teaching in 2003 but has maintained an active research lab, where he and colleagues continue to study mechanisms that shape skull cartilages and bones during development. In addition to research, Bowerman noted, Kimmel has influenced the careers of numerous doctoral and postdoctoral researchers. Kimmel will receive the Oregon Academy of Science’s lifetime achievement award at 1 p.m., Feb. 23, in Graf Hall at Linfield College in McMinnville during the organization’s annual meeting. The academy, formed in 1943, is an affiliate of the American Association for the Advancement of Science.